To print this page, use your browser's print button. fresh Spring asparagus. It is so simple and so good! It smells like you have a pizza in your oven. in a shallow baking pan. and pepper. 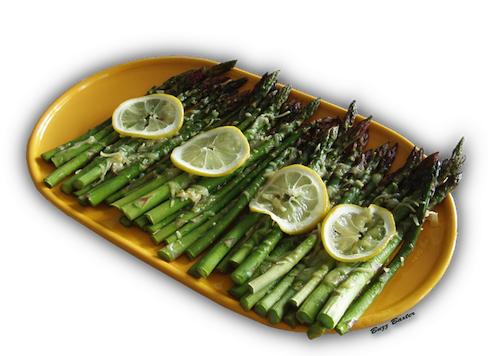 Pour marinade over asparagus, turning to coat. Let marinate for 1 hour. Pour off  any residual marinade. stalks) or until lightly browned.